A poll on Sunday will end five years of military rule. The best outcome would be an uncontested one, even if the junta leader stays on. A democracy of sorts could well encourage some private investment, but none of the likely winners seem ready to tackle a sclerotic economy. 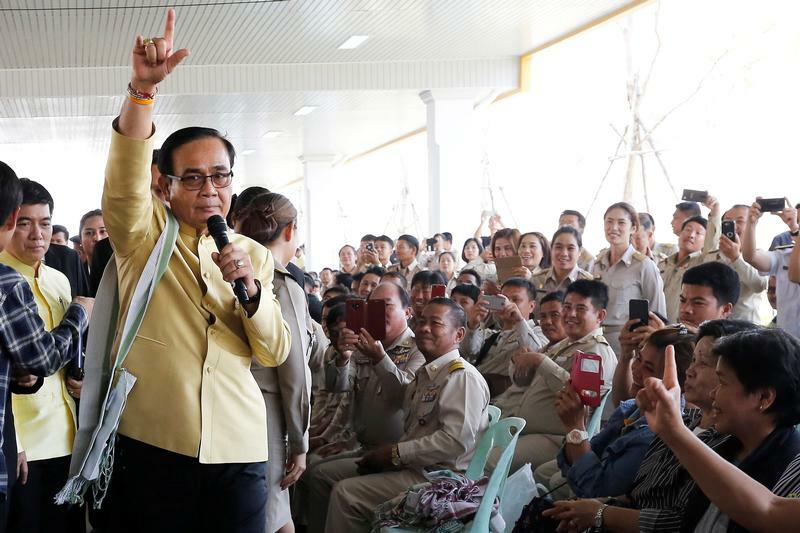 Prime Minister Prayut Chan-o-cha greets the audience at the opening ceremony of the 2nd Thai-Myanmar Friendship Bridge in Mae Sot, Thailand, March 19, 2019. Reuters: Could Thailand’s populists win again despite army obstacles? Thailand will go to the polls on March 24, in the country’s first election since the military seized power in 2014. The vote will pit military-backed, royalist Prime Minister Prayuth Chan-ocha against supporters of ex-premier Thaksin Shinawatra’s “red shirts” and others opposed to extending military dominance in government. There are 81 parties competing. In February, a party allied with Thaksin said its prime ministerial candidate would be Princess Ubolratana, King Maha Vajiralongkorn’s older sister. However, she was disqualified and the party dissolved. Thailand’s central bank held its benchmark rate unchanged on March 20, but cut its forecasts for economic growth and exports. The Bank of Thailand expects economic growth of 3.8 percent in 2019, down from 4.1 percent in 2018.